I am sitting in the Emirates business class lounge at Heathrow and contemplating the ice at the bottom of my glass of Chivas Regal. Thank goodness I’m back on the grog! And I feel tired now. Five weeks abroad is a long time to live out of a suitcase. Home is calling, gently. The Missus and I have had a wonderful time. 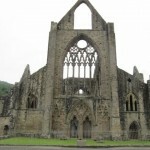 We have revisited the scenes of our youth, renewed old friendships, reflected on the brevity of life. The highlight of the trip, indeed the very reason, was a reunion of the Bristol University Psychology Department Animal Behaviour Group circa 1975. It was a very emotional occasion. 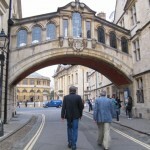 We have all taken diverse and different paths, from Oxford don to racecourse layabout. 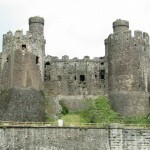 And we have seen a lot of old stuff – cathedrals, castles, ruined abbeys, stately homes, galleries, museums, manor houses, dreaming spires, stone circles, roman walls and neolithic engravings. 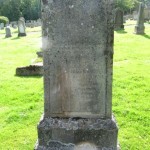 I even said hello to my great-grandfather at Selkirk in the Scottish borders. 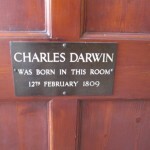 And I stood in the room where Charles Darwin was born, at The Mount in Shrewsbury. It should have sent shivers down my spine, until I realized the building was now used as a tax office. Time for home. The tug is insistent. Tring is a somewhat unremarkable town to the northwest of London. 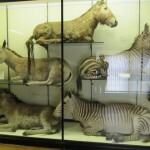 But its main attraction is that it is an annexe to the Natural History Museum and houses an enormous collection of stuffed birds. Before I became a horse watcher I did an apprenticeship as a bird watcher. 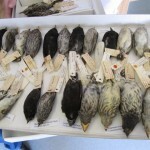 I am also a keen Darwinian and the Tring collection houses the finches that Darwin collected on the voyage of the Beagle and contributed to his formulation of the theory of evolution through variation and natural selection. The finches have world-wide renown and are now known as “Darwin’s finches”. 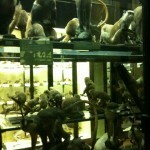 Tring is the last sacred site on my long-standing quest to view Darwin relics. I have made an appointment to inspect the finches, but was pretty much fobbed off. They will show me a few birds in the foyer. I am hoping for more. After all, I am a noted retired ornithologist who has journeyed half way around the world to view these birds. We check in at reception but the signs are ominous. The secretary has no appointment. Eventually three birds are brought down in a tray to placate me. I kick up only a small stink and finally I am shown a tray of the 12 Galapagos finches, displaying their amazing variation in bill size. These are not the birds that Charles collected, but they will have to do. 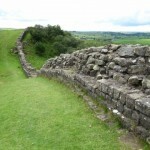 I have been stonewalled and there seems to be no way that I will get access to the collections. I depart, tail between my legs. But this is not the end of the story. La belle Missus and I decide to check out the rest of the museum through the front door. Wow! We are totally blown away. This is the collection of Lord Rothschild. We have never seen so much wildlife that has been slaughtered in the name of science. 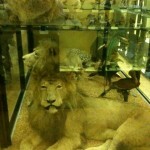 Every single animal you can imagine has been shot , stuffed and displayed in magnificent Victorian cases. 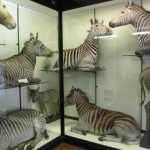 And the place is teeming with equids, although they all seem to have stripes. 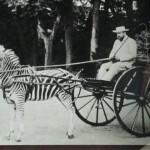 Lord Rothschild loved riding around his estate in a cart pulled by a zebra! So, at last some horses.